New FEC for XSport on 11139.50MHz, pol.H: FEC:5/6 ( SR:30000 SID:1 PID:257[MPEG-4]/258 Ukrainian - BISS). A new channel has started in DVB-S BISS: XSport (Ukraine) on 11139.50MHz, pol.H SR:30000 FEC:3/4 SID:1 PID:257[MPEG-4]/258 Ukrainian. 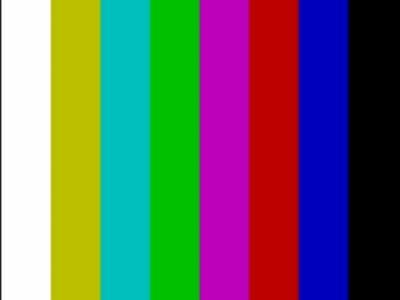 A new channel has started in DVB-S BISS: XSport (Ukraine) on 12130.00MHz, pol.V SR:27500 FEC:3/4 SID:6675 PID:6676/6677 Ukrainian. XSport (Ukraine) is now transmitted Free To Air (12341.00MHz, pol.H SR:30000 FEC:3/4 SID:33 PID:3301[MPEG-4]/3302 Ukrainian). A new channel has started in DVB-S2 Irdeto 2: XSport (Ukraine) on 12341.00MHz, pol.H SR:27500 FEC:3/4 SID:33 PID:3301[MPEG-4]/3302 Ukrainian. A new channel has started in DVB-S2 Irdeto 2: XSport (Ukraine) on 12148.00MHz, pol.H SR:27500 FEC:8/9 SID:33 PID:3301[MPEG-4]/3302 Ukrainian. A new channel has started in DVB-S BISS: XSport (Ukraine) on 11389.00MHz, pol.H SR:27500 FEC:3/4 SID:11 PID:2817/2818 Ukrainian.